The Bryan & Vinny & Craig Show is back today with a look back at WCW and WWF 19 years ago this week: August 30, 1999! May as well just play Nitro on the Death of WCW panel at Starrcast, an awful and completely indefensible show. It had the debut of the KISS Demon (at least on the WWE Network), Lex Luger’s big hummer reveal, the Revolution, a bunch of matches that legitimately happened as Nitro ran unopposed, Lodi vs. Kaz Hayashi, Vampiro and the Dead Pool everywhere and a main event featuring Goldberg and Hulk Hogan taking on the Jersey Triad. Raw was barely any better outside the Rock and Sock Connection bantering back and forth. 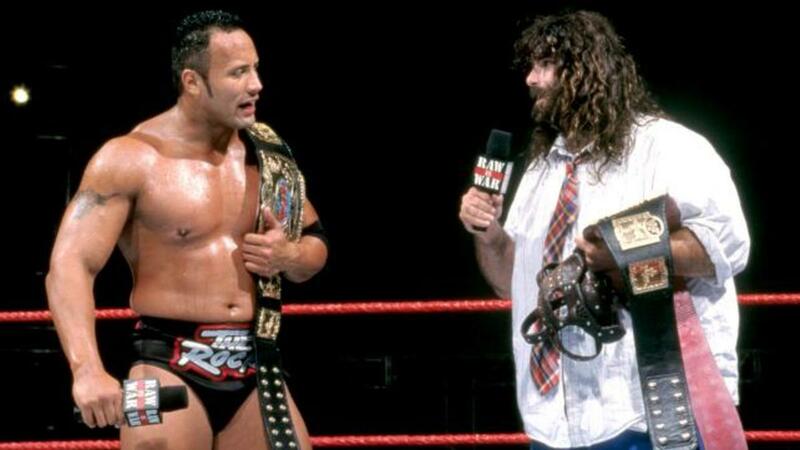 It had the start of the demise of Pepper, the beginnings of the Rock and Sock Connection, who would be the best Best Man in a wedding, the story of every tag team ever fighting each other for a tag team title shot no one ended up getting and a main event with The Undertaker and Big Show taking on The Rock and Mankind. Depressing programs but hopefully this is a fun show as always so check it out~!